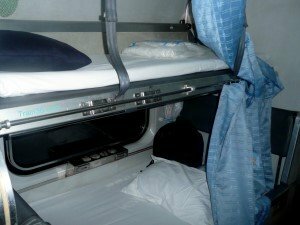 Train 169 is a Rapid Sleeper Train service between Bangkok and Yala. This train departs from Bangkok's main railway station, Hua Lamphong in the afternoon and travels overnight down to the South-East of Thailand. All times shown are departure times - Arrival times are usually just a minute or so earlier. 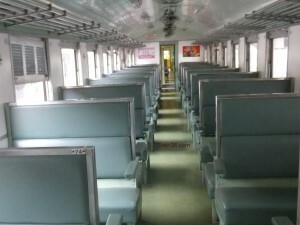 Second Class Air-conditioned berths and Second Class Fan berths. If your on a budget the fan coaches cost around 200 Baht less than the Air-Con coaches (for longer trips) and are really good value. 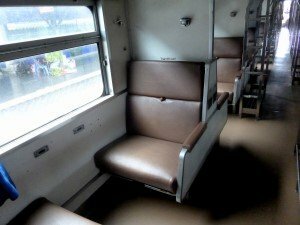 If you are travelling during the high season (December to March), these fan carriages are usually not too bad as the nights are a lot cooler at this time of year. If your here during April to June when it is really hot a humid, you may want to splash out on some air-conditioning! Lower berths are a lot wider than the upper berths and so cost a little more. They are well worth the money and are much more comfortable. They do however, sell out first, so during the high season and Thai holidays you will need to book well in advance. For shorter trips and those who don't mind spending the night sitting down, there are also Second Class and Third Class seating coaches on this service. 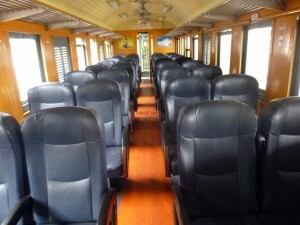 These seats are a really cheap way to travel around Thailand by train. If you are starting out from another place, please use the relevant city from our navigation bar on the left of this page. Please see our Thai Railway Stations pages below for information on buying tickets and travelling to and from these stations. This timetable is subject to change and was correct at the time of publishing. Visiting your nearest train station in Thailand. Telephoning the 24 hour Call Centre on 1690.